★★★★★ This is so great. Now I don't have to strain my cold brew through a cloth. This helps with the mess. Best part is that everything is dishwasher safe. Love cold brew. Remember to use coarser ground coffee and to use more compared with hot brewing. ★★★★★ Made great, grit free cold brew and cannot wait to make lemon lime water today. I hand washed but could still smell the coffee so threw into the dishwasher to be safe! Super convenient and looks awesome in the fridge! ★★★★★ I got this Friday and used it this weekend and LOVE IT! I took it to work and might have convinced a colleague to get it. I am loving it! Easy to use. Does not leak (yet). Makes the coffee oh so yummy. I highly recommend. ★★★★★ Love it!!! Simple to use, coffee that's smooth and rich! Not to mention their customer service team is on point in fixing delivery problems! Highly recommend! ★★★★★ I absolutely love this product. 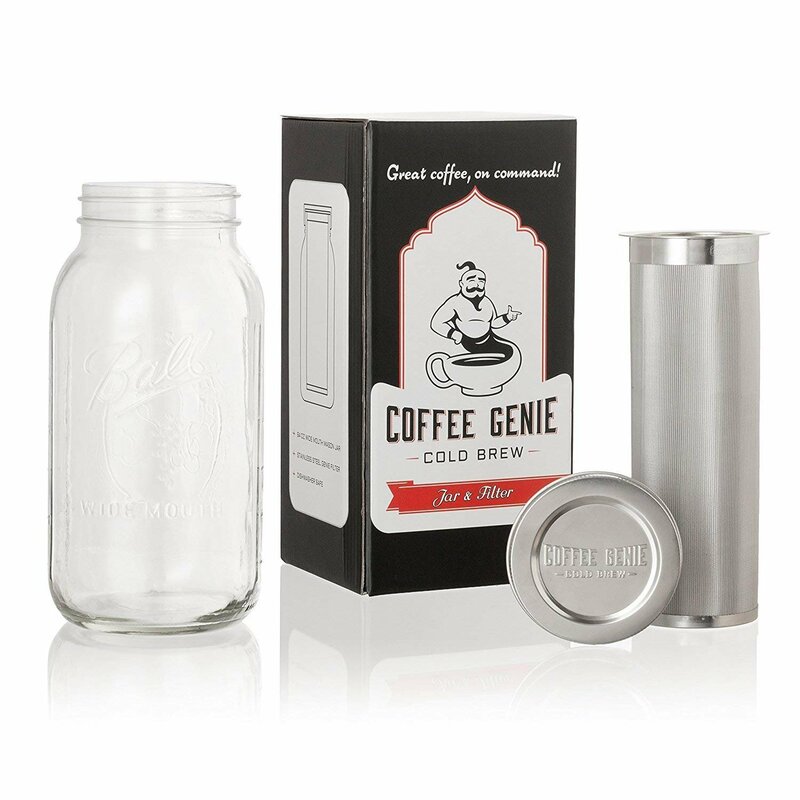 It's a 64oz Ball mason jar with a stainless steel filter and lid. The jar was made in the USA which is a plus. It brews some of the best tasting coffee you will ever drink I promise. Buy it now.